At Atlas Ceramics we stock a stunning selection of ceramic and porcelain mosaic tiles in a variety of shapes and sizes so you can find the right look for your home or business. 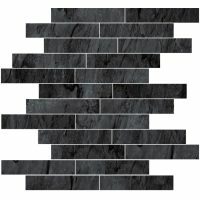 We have ceramic mosaic tiles boasting deep textural qualities, creating an ultra-modern look for your home as well as slate look porcelain mosaic tiles that create a subtle, beautiful effect. 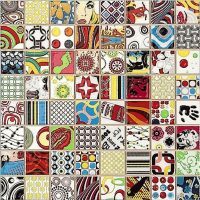 Browse our range now for mosaic tiles that will simply update and refresh a space or be more adventurous with a range of tiles that will completely transform any room with bold designs and textures that will really make an impression. 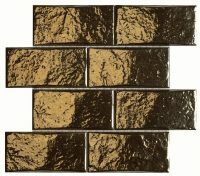 Beautiful, practical, and durable, ceramic and porcelain mosaic tiles are the perfect addition to homes that are modern, traditional, or somewhere in between. 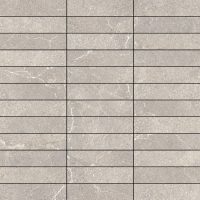 With a large range comprising of many colours and styles, you’re bound to find the perfect ceramic or porcelain mosaic tile to suit your tastes. Are you considering updating your home with our stunning ceramic or porcelain mosaic tiles? You’re in the right place. The following article will tell you everything you need to know: from the benefits of using these tiles in your home, to the rooms they work best in, to what looks good alongside them. Why settle for carpet or hardwood flooring when you can make a real statement in your entry hall? With ceramic and porcelain mosaic tiles, you can impress your guests as soon as they set foot through the door. Tiling the floor or walls of your entry hall with these stunning tiles will instantly uplift the room. Whichever colour and design you choose to decorate the space with, ceramic and porcelain mosaic tiles will instantly make the room feel bigger and look brighter. This is particularly beneficial if you have a small entry hall! White or lighter shades of ceramic and porcelain mosaic tiles will lend a light and airy feel to the room. 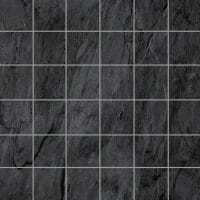 Darker colours — such as black slate, for example — will make a bolder impression. If you choose a dark shade of tile, opt for lighter walls, floor, or furniture to offset the tiles. Once you have your beautiful tiles in place, they’ll command immediate attention. They’re bound to become the main stand out feature of your entry hall. There’s no need to clutter the area with too many additional items — especially if it’s on the smaller side in the first place. A coat rack, large mirror, small table, and perhaps a comfy chair is all you need to complete the space. Aside from their attractive design and look, many people opt for ceramic and porcelain mosaic tiles in the entry hall as they’re very low-maintenance. Muddy boots and wet coats — which entry halls see a lot of — won’t damage the tiles, as they’re resistant to water and super easy to keep clean. Don’t think flooring is just for inside your home, either! A patio is a great way to create flooring outside in your garden, an area often exposed to harsh weather and extreme fluctuations in temperature. 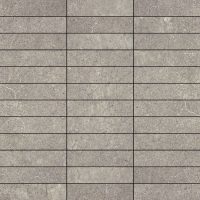 Our beautiful outdoor tile mimics the look and texture of natural slate, perfect for the garden patio. All you need is some simple deck furniture, good outdoor lighting, and a selection potted flowering plants to finish off the space — and make your garden a stunning place to be. Why opt for ceramic or porcelain mosaic tiles to create your garden patio? Firstly, they look great. Whichever tile you go for, they’re sure to create a stunning patio. They’ll make your garden truly somewhere special to relax and catch some sun or entertain friends and family. Since these tiles don’t absorb water and are slip-resistant, they’re tough enough for outside use and completely safe for you and your family. 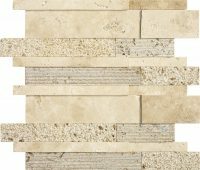 These tiles are also long-lasting — you’ll have a beautiful patio to enjoy for many years to come! The kitchen tends to be the hub of the home. It’s where we spend much of our time cooking, eating, chatting with the family, and entertaining guests. Since it’s so well-used, it’s important that your kitchen looks fabulous, too. The right ceramic or porcelain mosaic tile will enhance the room, and make your kitchen a place people truly love to spend time. These tiles are very versatile and can be incorporated beautifully into the overall “look” you desire — whatever that may be! Whether you want a kitchen that’s fresh and modern; sleek and industrial; or rustic and homely, there’s the perfect ceramic and porcelain mosaic tile to suit your needs. 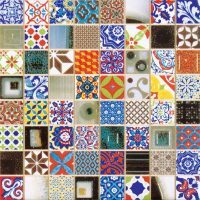 Ceramic and porcelain mosaic tiles are natural choices for the kitchen floor. They instantly open up the room and add a sense of warmth and comfort. 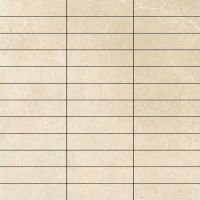 You can also use them on the walls — either all over or just in certain contained areas. If you’re looking for a simple way to update your kitchen with ceramic and porcelain mosaic tiles, tiling the areas around the sink and hob may be the best way to go. This creates a subtle yet eye-catching feature in your home. Tiles are the perfect low-maintenance option that work really well in the kitchen. They’re just as practical as they are beautiful! 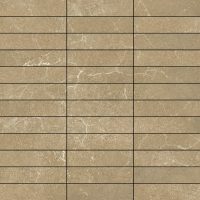 Ceramic and porcelain tiles are both waterproof and resistant to stains. This means it’ll be easier for you to clean them and keep your kitchen all spick and span. Are you dreaming of a chic and sophisticated bathroom? Ceramic or porcelain mosaic tiles can give you the bathroom makeover of your dreams! There’s no reason why you can’t turn your bathroom into your own spa-like retreat. The best tiles to use to create this design may be white or blue tiles laid all over the floor and walls. Keep the rest of your bathroom decor and furniture simple to maintain the sense of space and serenity created by the tiles. Lighter colour furniture looks really good to help create a calm, relaxing bathroom. For example, stick to a simple white bath, sink, cabinets, and shelving. Finish off the look with a large light-reflecting mirror and a vase of fresh flowers. Alternatively, you can opt for grey or black tiles to really make a bold statement in your bathroom. Choosing a glossy tile will help reflect the light and give the room a gorgeous subtle shimmer. Enhance the mood in your bathroom by making sure it’s well-lit. Multiple light sources — spotlighting and wall sconces in addition to an overhead light — will prevent the room from getting too dark and highlight your tiles. Again, white furniture will contrast well with the dark walls and beautifully finish-off the room. Whether you go for light or dark colours in your bathroom, ceramic or porcelain mosaic tiles guarantee a lavish, luxurious place to relax and unwind either way. Ceramic or porcelain mosaic tiles are the perfect way to effortlessly update your conservatory. The addition of these stunning tiles is all you need to transform your conservatory into a further extension of your home. Decorate your floor or walls with ceramic or porcelain tiles and your conservatory will immediately open up and feel lighter and brighter. This room can be another space you use to dine, relax, or entertain friends and family. Be sure to add some comfy seating, rug, and a coffee table to make the room cosier. If you’re looking to use your conservatory as a dining area, place a large table with enough chairs in the centre of the room. Wooden or lighter coloured furniture is a good choice if you decide upon darker coloured tiles. Ceramic and porcelain mosaic tiles are great for conservatories. They’re water- and stain-resistant, so you don’t have to worry about the floor being easily stained or damaged in this highly-trafficked area. Are you feeling inspired to use ceramic and porcelain mosaic tiles in your own home yet? 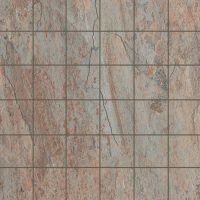 Before you make your final decision on colour and style, request a few sample tiles beforehand. These will allow you to see how a specific tile will look in the area you intend to place it — some tiles may change colour in the light at different times of day. When it comes to the vast options tiles give you to transform a room, the sky really is the limit! It’s time to get creative and use ceramic or porcelain mosaic tiles to design a home you love!